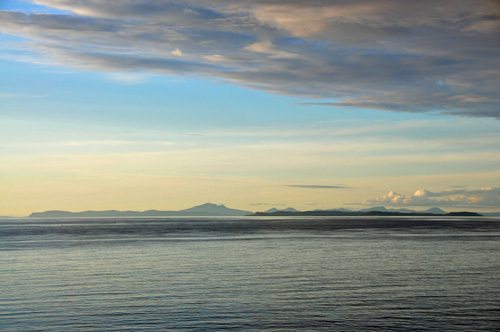 The two islands you can see here are of Mull (across the whole picture, in the back) and Colonsay (on the right, in the foreground), seen from just west of Sanaigmore Bay. I'll post a larger version (twice as big) on the Islay Pictures photoblog on Sunday morning. On a largely unrelated note, I managed to get in some more practice with the DJI Phantom quadcopter this morning. The latest video is DJI Phantom Quadcopter Flight along the Kennet and Avon Canal. Fingers crossed I'll be ready to film (and get a few calm days) when I'm back on Islay in April.